Today I arrived in Kamaishi (釜石) (Iwate Prefecture) on the Sanriku Coast. 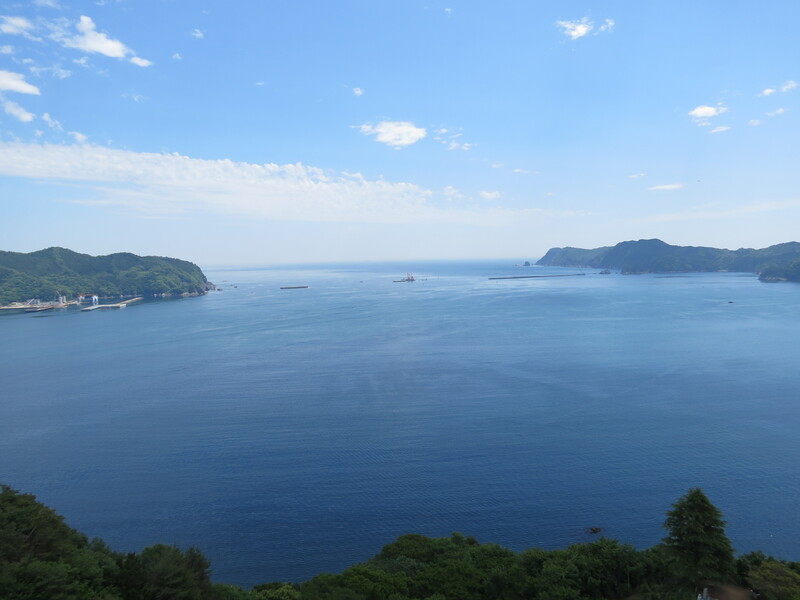 Kamaishi is not really a tourist spot, but the coastline is stunning. 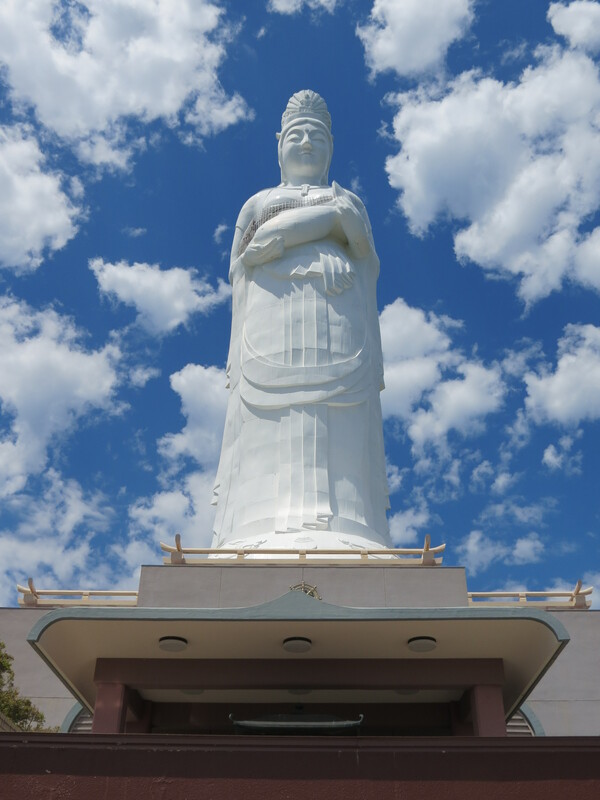 I visited the Dai-Kannon statue today, partly because I love big Buddha statues, and also because I heard there was going to be a small Shishi Odori (deer dance) festival. 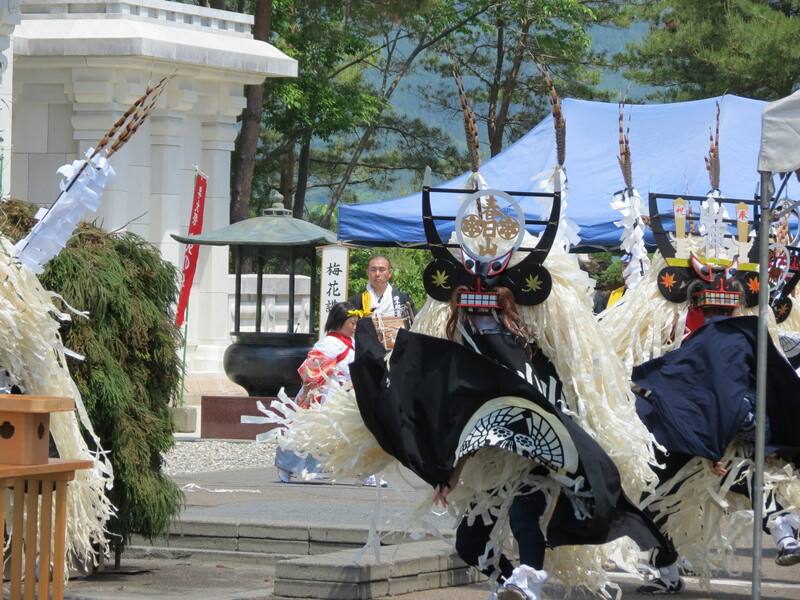 The festival takes place on the first Sunday of June every year, so I was really lucky to be able to see it today!